Splendour eye: Final launch of the space shuttle & your final chance to witness it ! 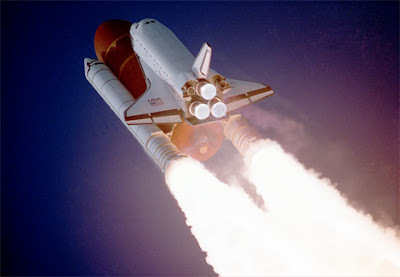 Final launch of the space shuttle & your final chance to witness it ! It is your final chance to witness the launch of STS-135 Space Shuttle Atlantis as it is the final space shuttle missioin, at Kennedy Space Center, targeted launch on friday July 8 2011 at 11.40 am ET. Date & time are subject to change but it is most likely to be launched on schedule. There is a high demand for the tickets as space shuttle program going to be retired. Only a limited number of tickets are available, so you will have to wait for luck. But first you need to register for the tickets ! Tickets are available for three viewing locations namely, NASA causeway, Kennedy Space Center visitor complex, and US Astronaut Hall of Fame. Tickets costs $61 at maximum and $ 20 at least. There is a little discount for children aged 3 to 11. You have to register online before June 5 2011 at 5 pm ET. No registration over telephone available. Once the registration period is over, registrants are selected for ticket purchasing based on a random draw. You are not guaranteed of any tickets for any location. If you are selected for ticket purchasing, you will be notified through email you provide during registration. All tickets will be shipped to the billing address where your credit card statement is received. Also, you must purchase tickets with the same name and address that you used to register for the opportunity. No changes of address or name are permitted. Visit Web.Venue365.com for complete details regarding the availability process of tickets. If you don't want to miss this final opportunity to see the final launch of Atlantis, dive in to ksclaunchtickets.com and register now, hurry ! !